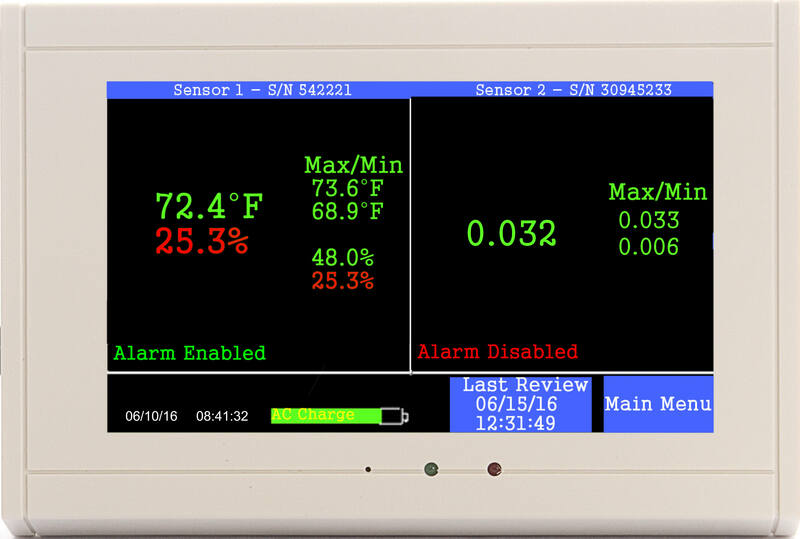 Whether you are monitoring rooms, areas or refrigerators this monitor has all four essential elements needed for protecting the indoor environment and demonstrating compliance. It Monitors, Logs, Charts and Alarms up to four areas for temperature and relative humidity. 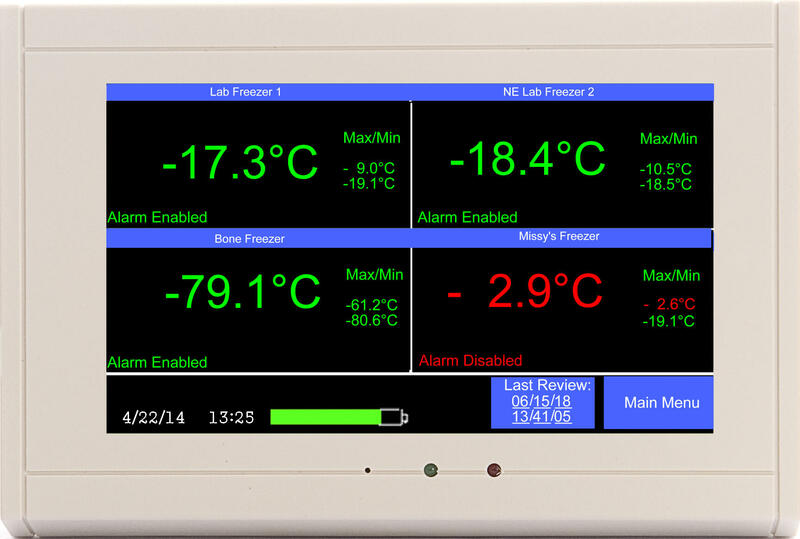 The monitor for healthcare monitors, logs, charts and alarms four areas for temperature and relative humidity. 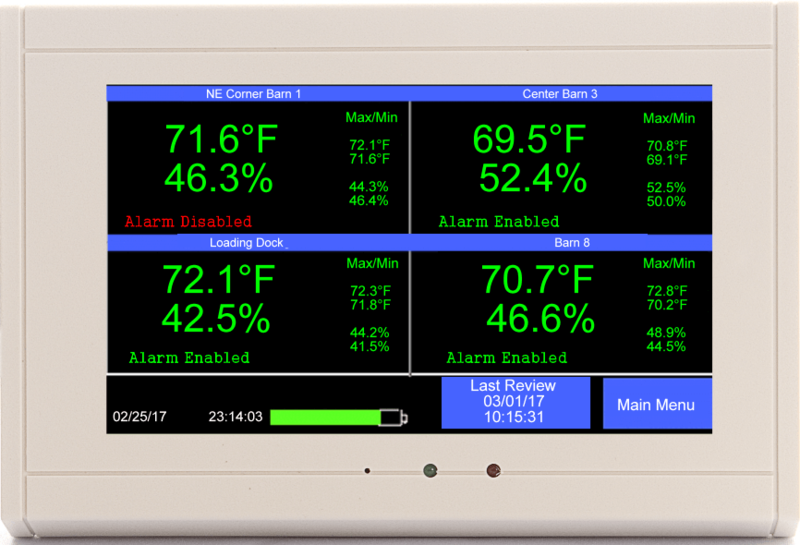 All current data is displayed on a color-coded LCD that is updated every few seconds and is easy enough to use that it requires minimum user training. 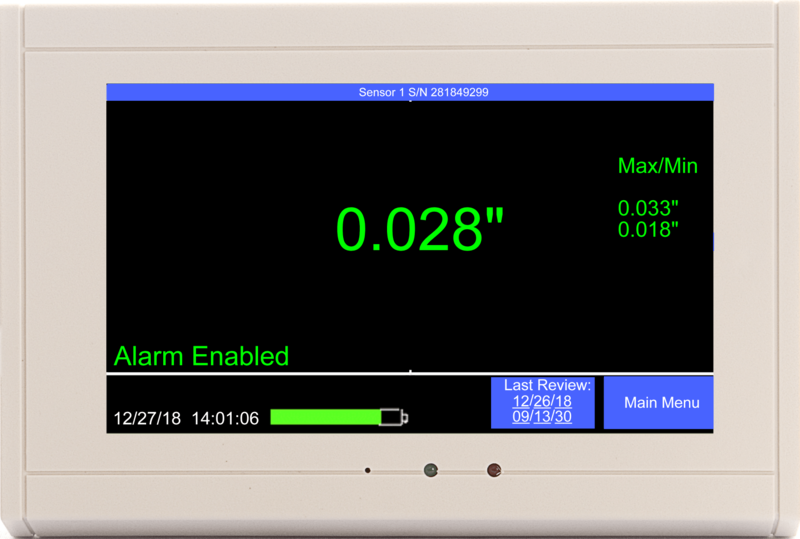 An optional NIST calibration certificate for each sensor. 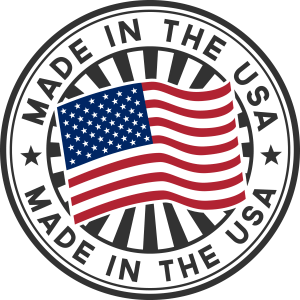 No monthly maintenance fees for data or software. 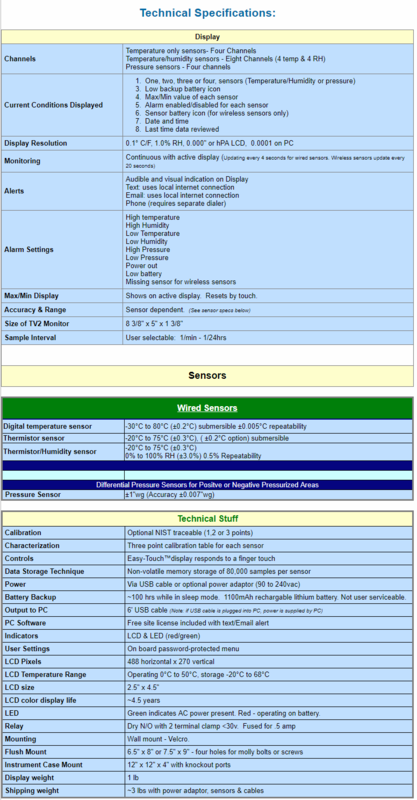 Calibration table built into each sensor. Data can not be changed once collected. A two stage alarm keeps you informed of any unsafe condition. Any environmental condition outside your safety limits turns red. Activates text, Email or phone call alerts.